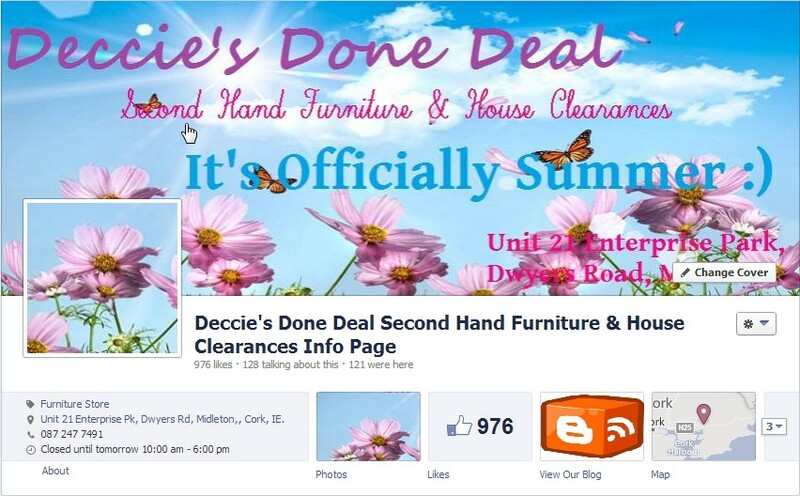 Deccie's Done Deal Second Hand Furniture & House Clearances : New Stock Update: Black Leather Couch, Office Desks, Filing Cabinet, Office Chairs, Spark Guard, Chest of Drawers, French Doors, Wicker Chair, Phone Table, Dressing Table, Drop Leaf Table, Round Table + 6 Chairs, And More! New Stock Update: Black Leather Couch, Office Desks, Filing Cabinet, Office Chairs, Spark Guard, Chest of Drawers, French Doors, Wicker Chair, Phone Table, Dressing Table, Drop Leaf Table, Round Table + 6 Chairs, And More! Check out all our stack on our facebok page with prices listed LINK.